Visit Anchorage’s most popular attractions! 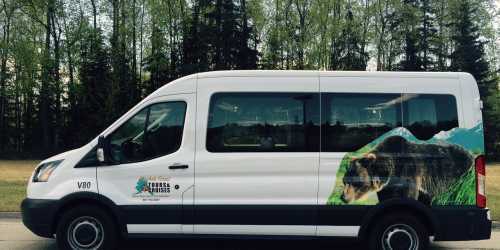 Portage Glacier Cruise & Wildlife Deluxe Van Tour: Turnagain Arm, Potter Marsh, Beluga Point, Portage Glacier, Alaska Wildlife Conservation Center. 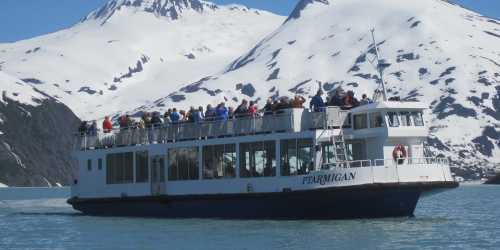 Our guided half-day adventure along scenic Turnagain Arm offers a one hour spectacular glacier cruise and non-stop wildlife. See Potter Marsh and mountain scenery where Dall sheep are often spotted on the rocky cliffs. The waters along the way offers the best chance of seeing some of Cook Inlet’s 350 beluga whales. Visit Portage Glacier-Alaska's second most visited attraction. Board a one-hour cruise, which is narrated by a U.S. Forest Service Park Ranger. View icebergs and get 300 feet from the glacier, where you can listen for the unmistakable rumbling of an active, calving glacier. 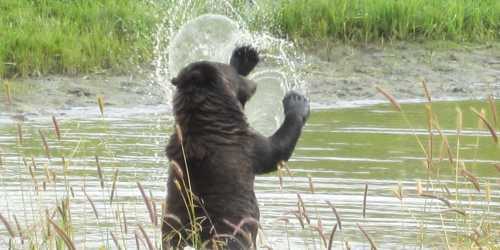 At the 140-acre Alaska Wildlife Conservation Center get an up-close experience with impressive bears, moose, bison, elk, reindeer, musk ox, and more... This is a picturesque holiday of a lifetime!